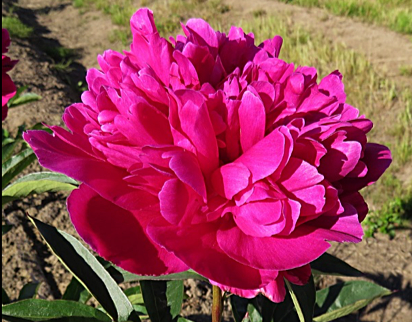 There are six primary peony varieties planted in our production fields. A striking, brilliantly white double with varying amounts of pink and lemon centers (can be removed post-bloom). Our go-to “true white” flower. This exceptionally large double pink is a wonderfully fragranced cultivar. With a reputation for consistent quality, this variety has cemented its legacy as the standard pink for generations of flower lovers. This heirloom cultivar is recognized by its glowing lemon hue center. It is one of the more fragrant double white varieties. 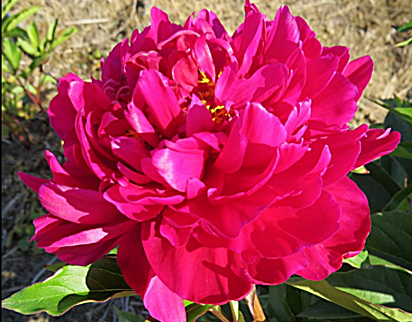 Raspberry red petals open into a full double in this exquisite bloom. These amazing colors are accented by a wonderful fragrance and silvery sheen. This beautiful heirloom variety is typified by a smaller bud that opens into a full-sized semi-double with burgundy petals and contrasting yellow stamens. The foliage is also edged with purple piping to give a very striking total package. Considered one of the best double-red varieties in the industry, Kansas blooms are suffuse with large watermelon red petals on sturdy stems. A beautiful red for any occasion.